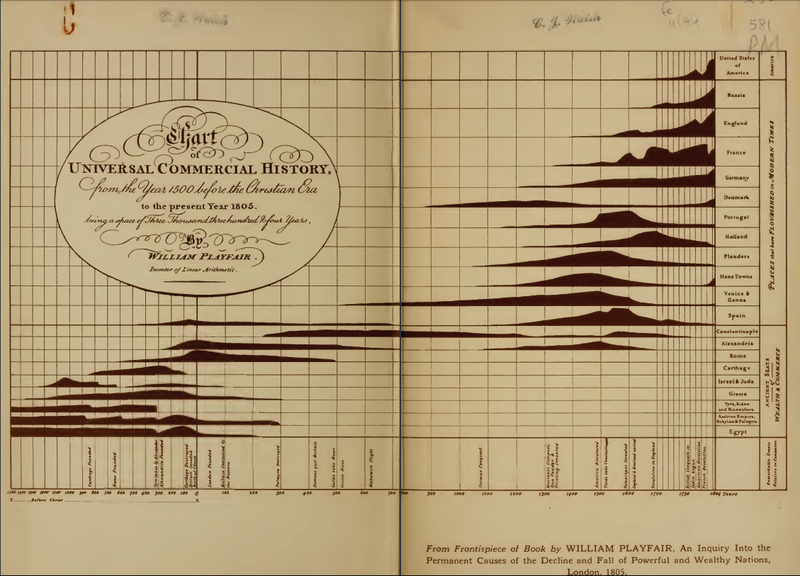 Most of the charts used today in data visualization among virtually all of the social sciences (economics included–you can’t get out of it this time) derive from the original design of William Playfair (1759-1823), political economist and a product of the Scottish enlightenment, and Johann Heinrich Lambert (1728-1777), a mathematician of the Alpine inclination. Together, they more or less popularized the idea that data could be presented to a mass audience. In the 1790’s, as people got wind of his pioneering work, they accused him of lie-telling and fabricating his data. The academe, acclimated to the traditional tabular graph (see my post on data mining vs. visualization), resisted his innovations for, say, 150 years. 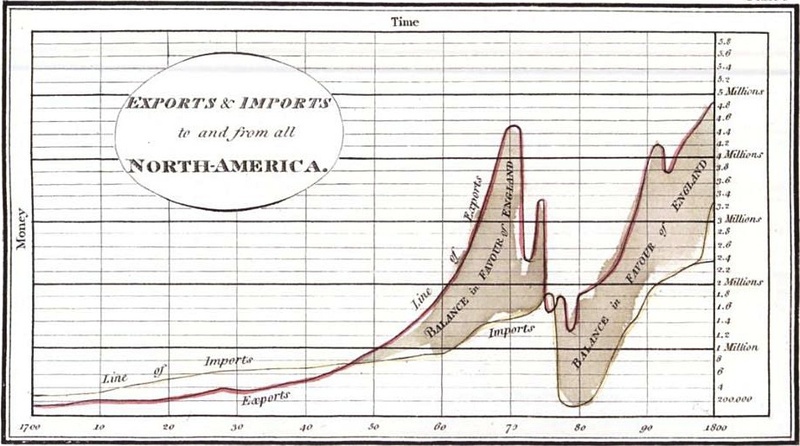 Playfair’s Commercial and Political Atlas presented the first line chart in his examination of the imports and exports differences between Britain and various other countries. Like many researchers after him, he grasped on the fundamental strength of visual data: ease of rapid comparison among a large number of variables. 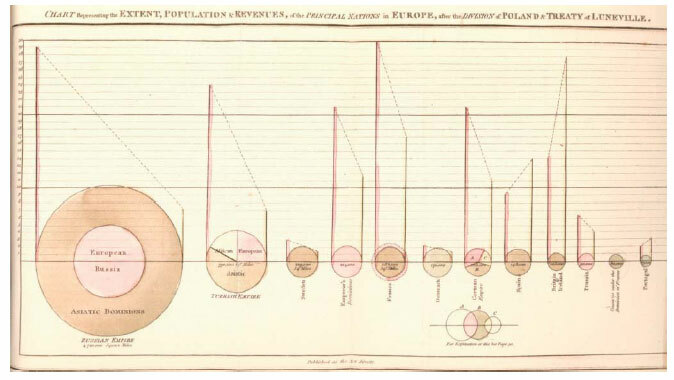 And, like many political economists that followed, he used data visualization to ease his wild guesstimates a little. That’s alright, though, because in the end he built something truly revolutionary out of Priestly’s work. Look at the 1770’s. Notice any changes? Right. Without having to really explain anything, we can clearly see the trade effects of the Revolutionary War. Of course, we need to explain the causal mechanism at work as well as include control variables to explain our parameters…but still. Playfair, William. 1785. The Increase of Manufactures, Commerce, and Finance, with the Extension of Civil Liberty, Proposed in Regulations for the Interest of Money. London: G.J. & J. Robinson. Playfair, William. 1805. Statistical Account of the United States of America by D. F. Donnant. London: J. Whiting. William Playfair, Trans. Sheps, Arthur. 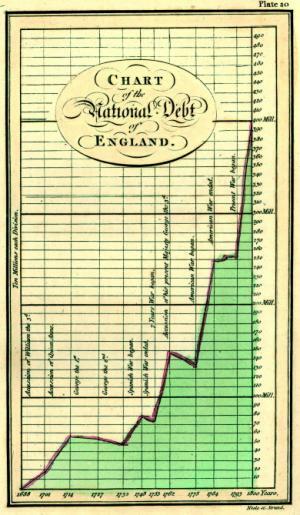 “Joseph Priestley’s Time Charts: The Use and Teaching of History by Rational Dissent in late Eighteenth-Century England”. Lumen 18 (1999): 135–54. Quality content is the main to interest the viewers to visit the web site, that’s what this web page is providing.